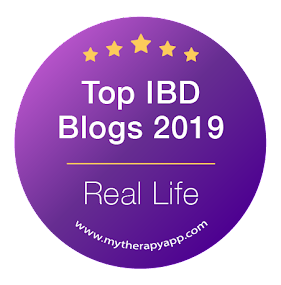 Healthline.com has just released their list of Best Crohn's Apps for this year. Crohn-fucius say... you're going to put your finger where??!! Crohn-fucius say... may your ostomy bags stay on tonight. I went to a local farm market here last year and tried a piece of chocolate cake, curious because it was made with beets....yes, beets. Pleasantly surprised, I couldn't tell that it contained beets, or the fact it was wheat-free and had no butter or oil. My dad, who lives in the area of the market, now gets this for me every few weeks as a 'treat' for me, because I also found that I had no problems, as far as my Crohn's is concerned, eating it. No pain, no getting that hurried feeling of having to go to the bathroom...nothing. It's baked by a nice woman who just bakes small amounts, but I wanted to mention her as a 'thank you' for the wonderful cake as there is not too much someone with Crohn's can eat when it comes to sweets. She's at this market every week and the chocolate beet cake contains dark chocolate, sorghum, brown rice and tapioca flours, free range eggs, fresh beets, etc. and is topped with a chocolate ganache which is just chocolate and coconut milk. It's only about the size of half a loaf tin but I make it last by cutting about half and inch piece at a time. It can't be bought in stores, so I make it last and is soooooooo worth it!! The market is on til October and wondering what I'm going to do when the market season ends!!?? 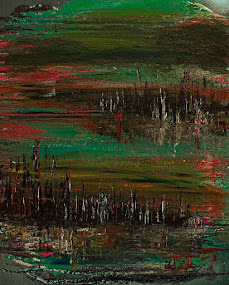 Crohn-fucius say... Crohns is like a duck on a pond, calm and unruffled on the surface, but chaos under the surface. 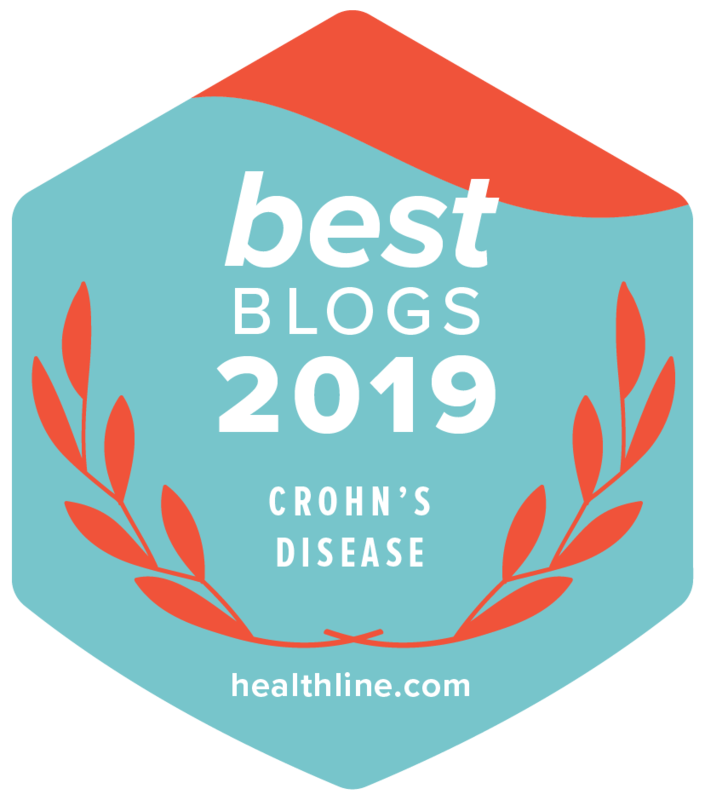 Thanks to Healthline.com, my blog (among some other good ones) was selected one of the Best Crohn's Disease Blogs of 2013 !!
' 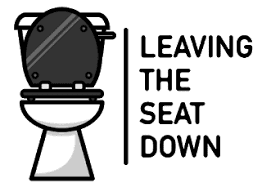 Crohn’s Leaving the Seat Down is an entertaining, sardonic look at life with Crohn’s that’s sure to get you through the toughest day. Author Vern was diagnosed in 1988 and dived into getting better with the same focus and drive that had made him a competitive figure skater. I'm glad that, what started out as a place for me to "vent" about my illness, has not only helped me, but others as well. One year and 7 days.....8928 hours.....535,680 minutes.....32,140,800 seconds.....now matter how you want to look at it, it's the Anniversary of my infusion treatment. Looking back over the year, I can honestly say, for the most part, the Remicade has worked for me. The pain from Crohn's has 98% gone, as I still seem to get gas pain at around the 4-5 week mark after infusion and I still get the abscesses (which I can really do without thank you very much). I am dealing with that right now. The positive is that at least they keep draining, but DAMN they hurt sometimes. Not much you can do if it hurts to stand, walk or sit. And I am not one to "lay around", so, yes, it DOES get to me that I can't really do anything that I want, or need, to do. All in all, Remicade is working.......for me.